High impact prescription safety glasses are an added protection for people who participate in certain activities or jobs. People who wear prescription eyewear may consider obtaining a pair of this type of eyewear for added protection. Just what is meant by high impact prescription safety glasses? These types of glasses have much more durability than your standard prescription glasses. They, therefore, offer greater protection for those who need it. Let’s take a look at the characteristics of high impact prescription safety glasses. When you purchase a pair of high impact prescription safety glasses such as the ones made by Wiley X, rest assured your eyes will have superior protection. Wiley X has been setting the standard in eyewear protection for decades. They have a long history of providing users with a quality and durability that is unmatched. Wiley X’s history began with military and police grade eyewear. The men and women who needed their eyewear were relying on their glasses to protect from severe situations. Blasts from explosions, gunfire ricocheting, and trekking through rough terrain is much of what these people dealt with. Wiley X gave them security and confidence while they did their job. It wasn’t long before word got out that Wiley X was making excellent eyewear. Other industries began marketing the brand. Other markets that showed interest in this tough line of eyewear were sports, hunting, fishing, motorcycle riding, extreme sports, and more. Before too many years had passed, the Wiley X brand was a nationwide success. How did Wiley X become so successful in a short amount of time? They made sure their prescription safety glasses met rigorous standards, passed safety measures, and included several features that wearers would desire. Let’s take a look at some of these characteristics. Once it is determined that the glasses are still intact and these qualities preserved, the tester moves on to the next area. The next portion of the test is supposed to simulate a low mass, low velocity sharp object penetrating the lens. The object is about 50 inches long like the object in the other test, and the weight is just under two ounces. The tip of the object resembles a large nail. Again, the glasses are inspected to ensure that the dart cannot penetrate the lens. Each pair of glasses is tested separately and stamped with the ANSI lettering, which indicates they have undergone this testing. In addition, you can request to see written proof that the glasses went through the testing procedure. One important feature of the high impact prescription safety glasses is that they are virtually shatterproof. Under ordinary and even extraordinary circumstances, these glasses will reject shattering. People who work in jobs such as welding, construction, pipefitting, auto mechanics, and blacksmithing will find this characteristic helpful. Or even if you don’t work in any of these industries but you enjoy riding a motorcycle, playing on a ball team, or hunting, these glasses are for you. 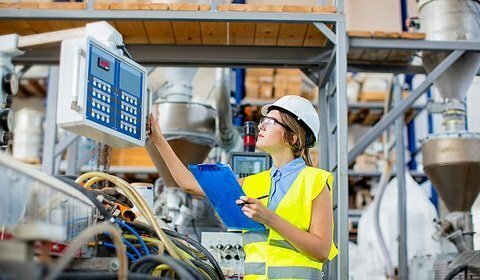 The Occupational Safety and Health Administration (OSHA) has a set of safety requirements that employers must abide by to keep the workplace safe. Employees who work in certain environments and who wear prescription eyewear are, by law, required to wear OSHA approved safety glasses. They further recommend that employees have an extra pair of the approved prescription safety glasses in case of loss or damage. Employers are obligated to provide some type of protective eyewear. If employees don’t have prescription safety eyewear, then they may have to wear safety goggles over top of their regular glasses, according to OSHA. This would be potentially cumbersome for the employee, so it is wise to have your own pair. Wiley X prescription glasses either meet the OSHA standard for safety and some of the glasses actually exceed the safety standard. So, if you have a pair of Wiley X safety glasses you will be protected and abiding by the law in whatever job you have. A unique feature of one of the lines of Wiley X prescription glasses is the patented foam seal around the eyes. This padded foam seal is a removable piece that allows the user to snap it into place, which secures it against the face. By doing so, any flying particles, dust, dirt, debris, and so on will be kept away from the eyes. The eyes are a delicate member of the body and fine dust particles can be the cause of great irritation. This is especially problematic if you work in an environment where there is sawing, chiseling, grinding, or cutting. Wood particles and other flying debris may damage the cornea if your eyes are not protected properly. In addition, in some environments, your eyes are at risk of danger from sparks, molten metal, or chemical splashes. The padded foam seal fits tightly and securely around your eyes so that you don’t need to worry about anything coming into your eyes. The foam provides a comfortable texture for your face too. You probably know by now that the sun’s UVA and UVB rays can cause skin cancer and damage. However, did you also know that your eyes are just as vulnerable as your skin? Most people don’t think about their eyes needing protection from the sun, but they can be damaged by the sun just as much as our skin can. In fact, the sun’s UVA and UVB rays can cause “cataracts, macular degeneration, pingueculae, pterygia, and photokeratitis” (Source: All About Vision). The latter is a temporary loss of vision, which can be terribly frightening. Wiley X eyewear protects from 100 % of the UVA and UVB rays. In fact, many of the glasses have wrap around features that keep the sun from getting in through the sides of the glasses as well. This ensures that you are protected from all sides, which is important for those who may work in an outdoor setting such as construction. Active Lifestyle: Designed for those who like to get active and play rough. Climate Control: Featuring the patented foam facial removable seal. Changeable: This line meets the U.S. ballistic standards for combat eyewear. Tactical Goggles: If you need something even more durable, these goggle exceed the U.S. ballistic standards for combat eyewear. Worksight: Great eyewear for the office. Removable side shields ensure these fashionable glasses still meet the ANSI standards for safety. With the many frame colors, lens designs, and safety features, you will find a pair that will provide protection for your eyes while on the job or during your active lifestyle. You’ll love how your new Wiley X eyewear looks on you too. You won’t have to sacrifice style for protective wear or for superior comfort. When selecting your glasses, read the description to get the best fitting pair for the size of your head. 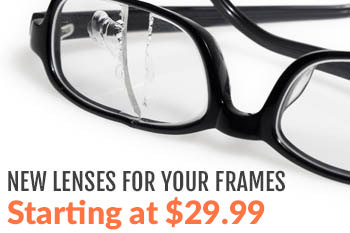 You want to get glasses that will fit snug but not too tight to cause discomfort. Meet your match when you find the perfect pair of glasses. At RX Safety, we have a huge online catalog of prescription safety glasses for you to browse. We proudly feature the Wiley X brand with all of its many lines. Check out our selection of glasses today and find your perfect match. If you need help finding the right fit or need advice about what type of eyewear would be best for your particular job, a glasses consultant will be glad to assist you. For more information about our selections, connect with RX Safety today. 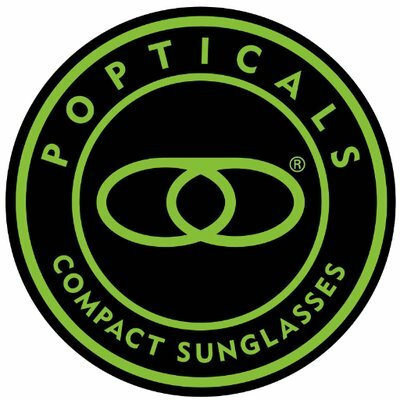 We are committed to providing you with the best eyewear for safety, style, and comfort.